DC Comics Universe & Doomsday Clock #8 Spoilers & Review: WOW! 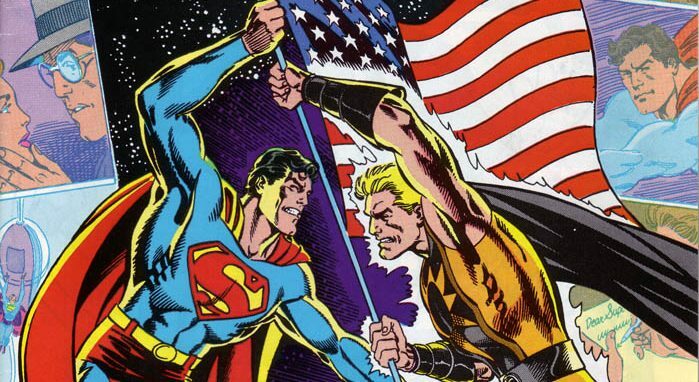 Superman & Firestorm Vs. Everyone! Batman? Plus What Are The Watchmen Up To?! This is THE issue you've been waiting for! 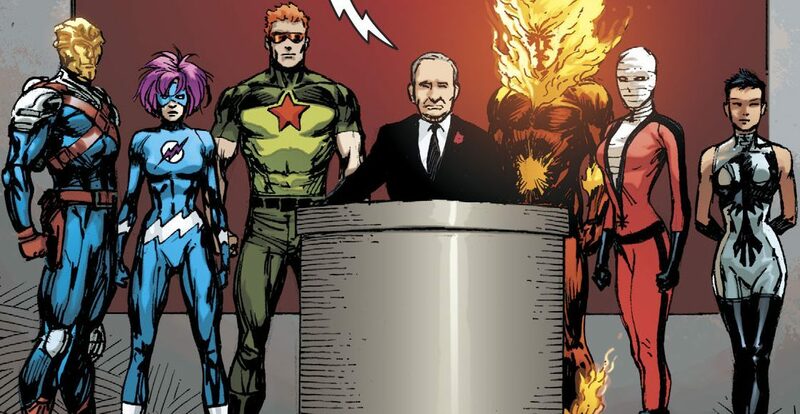 DC Comics Universe & Doomsday Clock #8 Spoilers: United States Firestorm Vs. Russian Firestorm & A Big Secret Teased?! DC Comics Universe & Doomsday Clock #8 Spoilers: Firestorm Gets A New Super-Power?! Batman 666 & DC One Million Superman Return As DC Comics Detonates A Nuclear Winter Ushering Post Apocalyptic Future(s) In DC Nuclear Winter Special #1 House Ad With Spoilers?! DC Comics Universe & Doomsday Clock #6 Spoilers: Firestorm Villain Typhoon Takes Center Stage In The Front & Back Of Issue! DC Comics Universe & Post Man Of Steel Superman Spoilers: Firestorm Replaced As DC’s Nuclear Man By Brian Michael Bendis & Ivan Reis? DC Comics Universe & Doomsday Clock #5 Spoilers: Metahuman Arms Race Sees Seven New Superhero Teams Debut Including Classics Like Doom Patrol, Outsiders, Justice League Europe & More! DC Comics Universe & Doomsday Clock #5 Spoilers: Classic DC Comics Hero Returns Plus More Watchmen Via Preview? DC Comics’ The New 52 Futures End #11 Spoilers & Review: Batman Beyond, Masked Superman & The Future Justice League! The New 52 Futures End #5 Spoilers & Review: A Hellblazer Cometh, An Original Batman Sighting & DC Comics’ Batman Beyond Hides In Plain Sight? A mystery only a Hellblazer can solve? Justice League Spoilers: Who Joins The Team? How do they expand the League? Demythify: BIG Fury Of Firestorm Changes Have Already Begun! DC New 52 Zero Issue The Capper? Big things come to a head leading into Zero Month! Purple Firestorm? 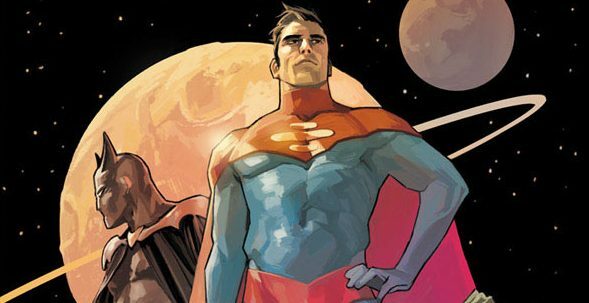 Reviews of this week's Superman, Teen Titans, and Aquaman...plus the first five issues of Marvel's G.I. Joe comics from 1982? Must be time for Skitch's mini-reviews! So we’re at the end of month #2, with nothing I was dying to read, but a lot of decent comics this week.